A couple days ago, I swam in a hotel pool with my kids. Lauren forget her bathing suit, so unfortunately she had to relax poolside while I held our 3-year old all around the pool. And we forgot their puddle jumpers at home. Imagine holding a live salmon around with you while swimming… that perfectly describes Abigail. After “swimming” for about 10 minutes (really, carrying Abby while she kicked constantly trying to “swim”), a dreaded feeling suddenly came over me… I reached down to the side pocket on my swimming trunks. That rectangular shape that I'm used to feeling in my pocket was still there… but it's not supposed to be there when I'm in the swimming pool. Yup. My cell phone. It's a nice phone, but not one of those new waterproof ones. It was dead. I even tried putting it in a gigantic bag of white rice for 24 hours. Nothing. But here's the thing… it's actually been great. No, it's been fantastic. I never considered myself addicted to my phone. I mean, I know what those people look like – buried in their phones all the time. Constantly updating statuses, posting to Instagram, liking and commenting on everything. That was NOT me. But I found myself reaching down to my pocket out of habit very often. At least two or three times an hour when I had a single moment of doing nothing. Oh, looks like I've got 30 seconds to spare! Might as well check Facebook, email, and text people. I probably reached into my empty pocket 50 times that first day. Turns out I'm not that different from the average user who checks their phone 85 times a day! Not to mention that social media with ad targeting technology, specifically on Mobile devices, is probably causing you to spend way more money than you realized. Not having my cell phone for the past couple days has had many benefits, and I took the time to chronicle 5 of them. Time for some brutal honesty. When my kids would want my attention while I'm sitting there staring at my phone, deep inside I would be annoyed. There it is! Phew! Glad I got that out. But it's true. It would be a small annoyance; not nearly enough to become angry at them. But I would usually finish up reading or typing my thought before I moved on to give my kids attention… which tells my kids that their time will have to wait for my screen time. There's always downtime during the day. 5 minutes here, 20 minutes there. Spending that time to stare at a screen is not good. Without a phone to stare at, I'm available. My kids can ask me questions, ask to play with me, and they aren't interrupting anything. By doing anything instead of staring at a screen, I'm in the moment. I'm present. I don't know why this is true, but it is. Lauren even told me last night that she's noticed me smiling so much more in the past couple days. Clearly, being more present has led to me being less irritable. Since my screen time isn't getting interrupted anymore, I can't get irritated at that. But it's more than that. I have more patience. I have a theory on this… when we use electronic devices, we are used to getting that immediate gratification no matter where we are. Whether it be shopping online, getting notifications from social media, or playing a game. Bam. It happens right away. And we become accustomed to not waiting for anything. I don't know if a 3 day fast of my cell phone is enough to break that expectation, but it's had a great impact so far. Being more present + less irritable = happier. 4. I'm not missing anything. The past couple days, I've only checked my Facebook news feed maybe twice a day using my laptop. And I posted once (something having to do with me swimming with my phone). And I didn't miss anything. Nothing. I still saw all of the “important” info from my friends. Yes, maybe I was a little late to the latest viral video, and I wasn't the first to like or comment on anything, but who cares? Friends who texted me? Well, they're just gonna have to wait. 5. I realized what I WAS missing. We give so much attention to devices, to social media, out of habit, and out of an irrational worry that we might miss something. Someone might comment on our Instagram post, someone might post something hilarious, our friends might have some really important news. And if my phone isn't in my pocket, I might not know these important things right away. But what I realized I was really missing was life. Being in the moment. Those moments where you sit and do nothing are underrated. Just today, I walked to the local restaurant and ordered a salad for lunch. It took a few minutes to put together, and usually I would putz around on my phone while waiting. I just sat there. I looked around. I thought. I daydreamed… nothing profoundly amazing came to my mind. But those moments are really important for our brains. Daydreaming is some of the best stuff for your brain, and it actually makes you more creative and focused. 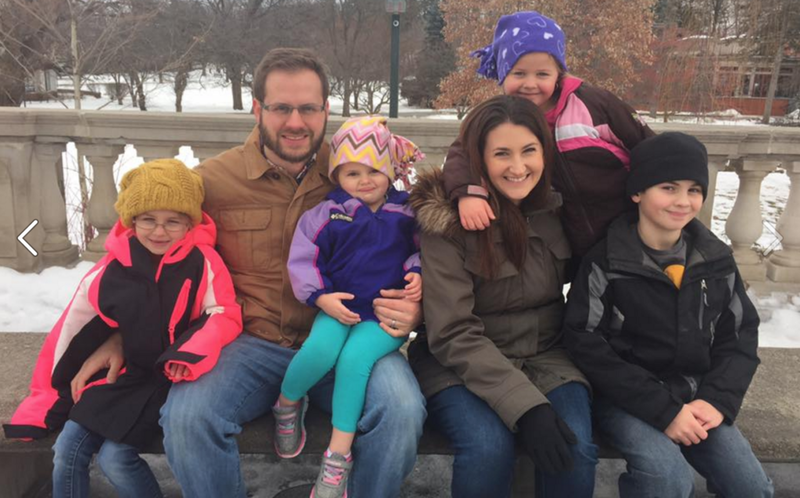 Moments with my kids and wife, creative ideas, focused work – these were the things I was missing. Do you have any areas of your life like this? Where in your life could you make a small adjustment and suddenly find an unexpected freedom? What about money habits… does that one strike a nerve with you? Losing my smartphone reminds me of what it felt like to finally figure out how to budget (and make it work) for the first time. By taking away freedom, I felt so much more free. To get on track financially, we restricted the freedom to spend. But through that, we discovered financial freedom. With my smartphone, I don't have the freedom to instantly check the weather, check in on friends, or the news. But I've gained more freedom in day-to-day living. And it feels great. But alas, I do need a smartphone (or do I? I'll be pondering this over the next few months). Lauren and I make our living online and I often need to perform lots of website-related tasks on the fly. So having a smartphone is definitely something I need. And my wife would like a way to get a hold of me while I'm out. So I just bought one on eBay – don't worry, it was used and it compatible with Republic Wireless (where I'm paying only $20 a month). So I'm saving a lot of money. But when the phone comes in the mail, I'm definitely changing a few things. It will NOT stay in my pocket at all times. In fact, there will be occasions where I purposely do not take it with me. When I'm home, my phone will go on a shelf in the kitchen. I will use it as a phone (that's what it's main purpose should be, right?) If someone calls or texts, I'll answer and then put it back on the shelf. If I'm using my phone and my kids or wife want my attention, they get my attention immediately. The screen can wait. I'm turning off almost all notifications. All I really need is to be notified of a phone call or a text, right? Do I really need a reminder when someone likes my hilariously witty Facebook post? No, I don't. These are small changes. It's always the small changes that can have a huge impact, right? Maybe you're reading this and thinking – Mark, wow man… you seriously had a problem! And yeah, I did. But I had no clue! When you have a problem, you rarely are aware of it. So here's my challenge to you: for 24 hours, put your phone in a drawer and don't touch it. 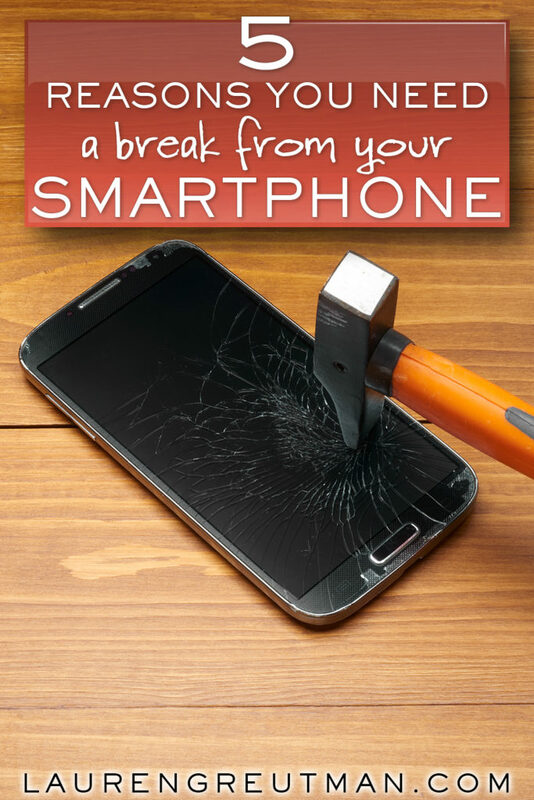 My hunch is that you will really enjoy the vacation from your phone. Here's the bigger challenge I have for you. What other things can you change in your life that might have a HUGE impact? 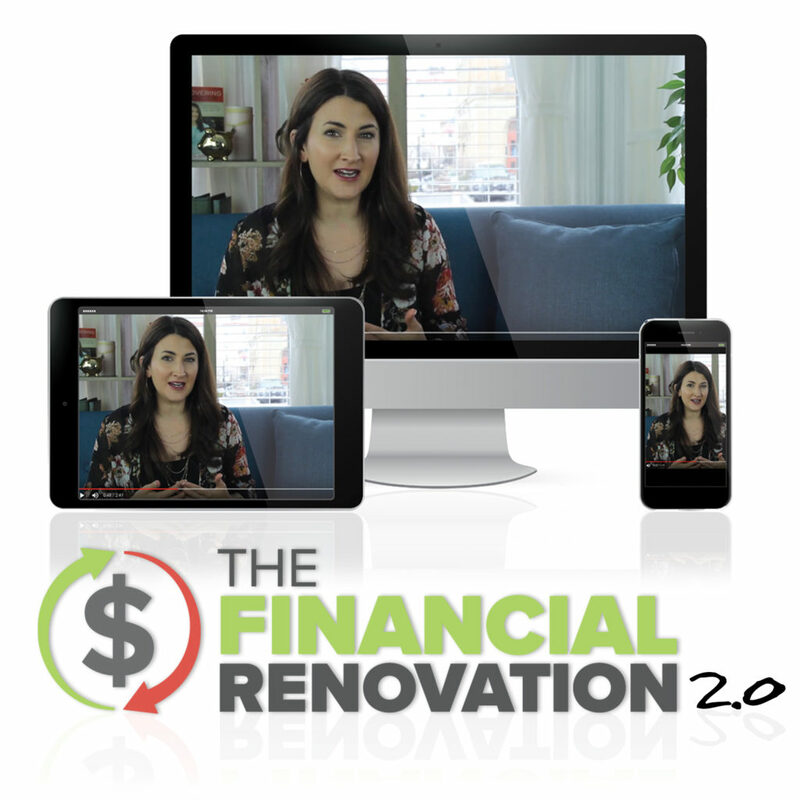 That exact question is why I created The Financial Renovation. 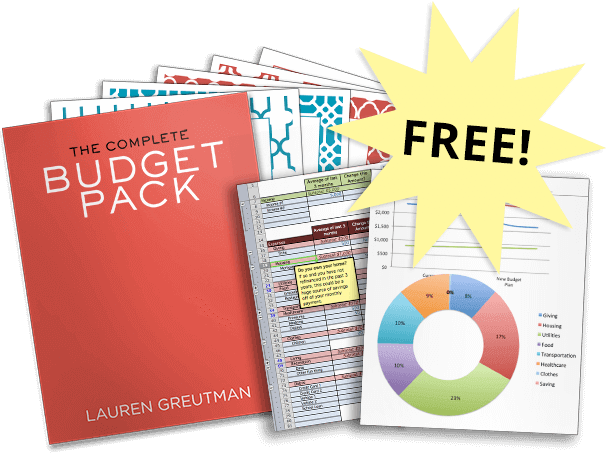 It's my flagship online course aimed at getting your finances on track – by making small adjustments. Small adjustments that can change your life! I am just about done with the producing version 2.0 of the course, and I've got an awesome deal coming up in about a week. Sign up here to get notified first!